Just days after announcing Bollywood Superstar Amitabh Bachchan as the first OnePlus Star in the country, the company announced the 'Best Smartphone Contest' in partnership with the superstar. Mallika Dua tells Anushka Sharma that she has been on multiple covers of "Vogues", prompting Sharma's straight face to break into a wide grin. 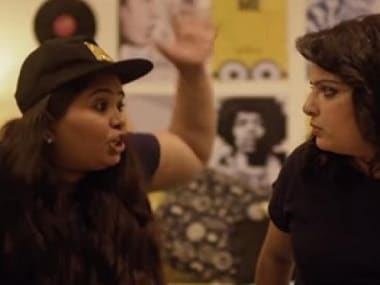 The trailer of this season’s On Air with AIB seems more promising than last year’s take, but will this season be more hard-hitting than the last? Shah Rukh Khan comes across as a long-lost friend that you are catching up on, in the AIB podcast. 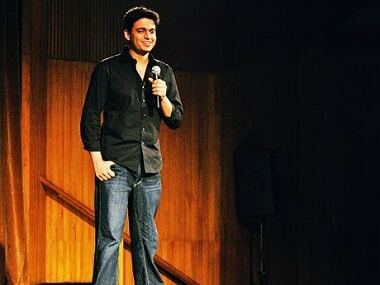 The sense you get from the AIB podcast is that one of the wealthiest, most popular and recognisable Indian celebrities, Shah Rukh Khan, is nearly as powerless as the common man, when it comes to expressing an opinion. In a time where celebrities are micro-managed by their PRs, Nawazuddin Siddiqui's interview with All India Bakchod (AIB) is a breath of fresh air. 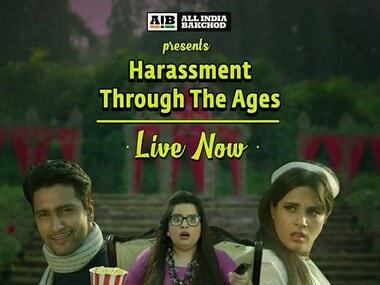 Comedy kingpins All India Bakchod (AIB) have come out with their latest addition of satire and this time it is a video which highlights how Bollywood through the ages has normalised eve-teasing, stalking and harassment. The video shows how demonetisation has affected four sections of society primarily - the rich, the poor, the bank employees and the common man.